Education: Bachelor in Criminology and Psychology, Simon Fraser University. I was born and raised in Hong Kong until the age of 12, when my family moved to Vancouver, Canada. I stayed there until my bachelor’s degree and came back to Hong Kong for work. I studied Criminology and Psychology as I was fascinated by the idea of understanding why people do what they do, and studying about the often-sad stories behind those who are behind bars. I love travelling and outdoors. I have participated in dragon boat racing with couple of my friends and loved it! 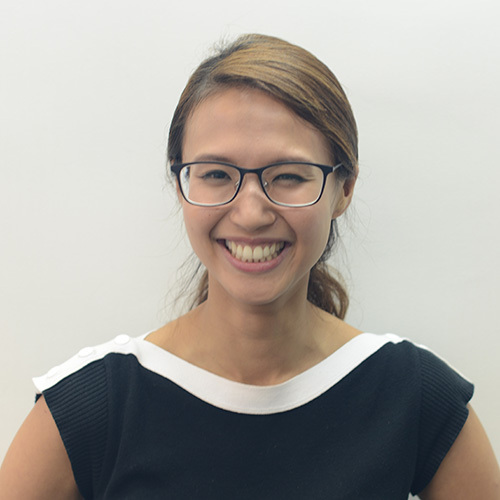 My whole interview process – the people I met and the office environment I saw – left an impression with me that Eclipse is a very different firm in the midst of all their competing financial institutions, especially in a big city like Hong Kong. Their informal work culture, collaboration, and the friendliness across the floor regardless of seniority were key in drawing me in. I wanted to be part of an organisation where I could really make a difference with the work I do, and where my hard work would be appreciated and recognised and serve as a motivation – and I’ve found this here at Eclipse. Apart from that, as Eclipse promotes a more informal atmosphere, I’ve also enjoyed the fact that I can drop my suits and formal work attire, and put on smart casuals for work where I feel at home. Finally, the fact that staff across departments all work cohesively together – whether they are traders, quants, IT, HR, or Finance – sets Eclipse apart from the rest of their competition in Hong Kong. What unique experiences or projects have you been involved in at Eclipse? I have been heavily involved in the planning and execution of the Graduate Recruitment program in particular for non-trading positions. From sourcing new goodies to give away on campus, to attending career fairs and giving recruitment talks together with our keynote speakers, it has been an amazing experience for me. Apart from that, Eclipse also offers regular training including Options trading for non-trading staff which I found very beneficial. When you’re considering a change in your career or a start to your career – what’s really important to you? A place where regardless of your seniority or line of work you do you’d feel inclusive, and that the culture isn’t about the longer-hours-you-put-in-the-better? And what about a place where you would get involved in different projects and learn from colleagues who are experts in the field, yet are more than willing to share their experiences with you? Finally, what about a place where you get to focus on your work without being bogged down by the excessive administration work and bureaucracy? Come and see for yourself what Eclipse did for me.